Shoko Ikeda organizes UNU Global Seminars, such as the Shonan Session and other training courses, as part of the UNU-IAS postgraduate degree and training unit. Prior to joining UNU-IAS, she worked at an event planning company in Japan as an assistant, and coordinated events locally and internationally. She was also an intern at UNU, assisting UNU-IC Courses for four years during university. 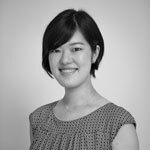 Shoko holds a BA in policy studies from Chuo University. She also studied at the Henry M. Jackson School of International Studies, the University of Washington, on a scholarship exchange programme.